MicroSDHC cards offer higher storage capacities for more music, more videos, more pictures, more games, more of everything you need in today's mobile world. The microSDHC card allows you to maximize today's revolutionary mobile devices. 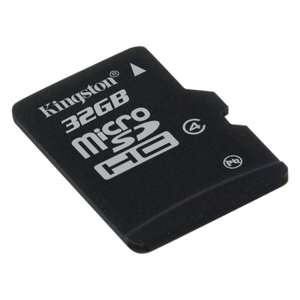 Kingston's microSDHC cards use the speed "class" rating that guarantee a minimum data transfer rate for optimum performance with devices that use microSDHC.